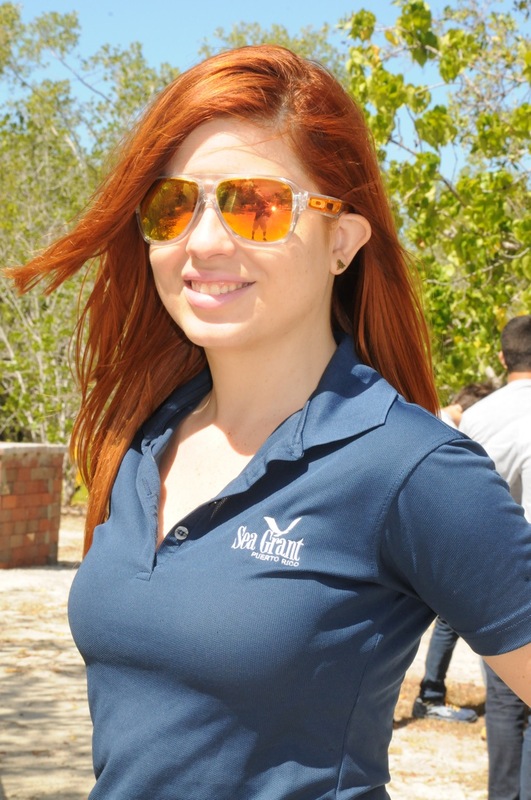 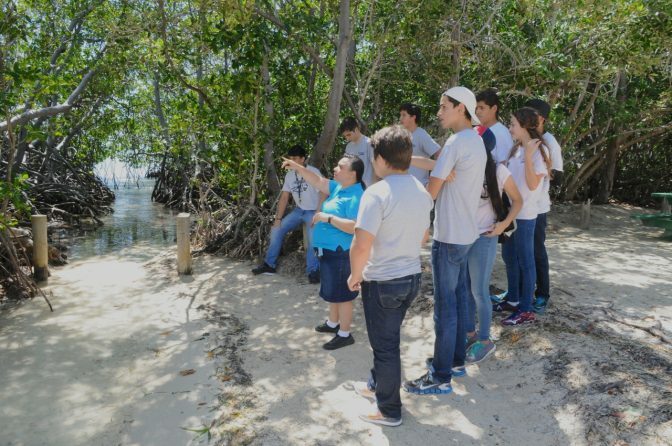 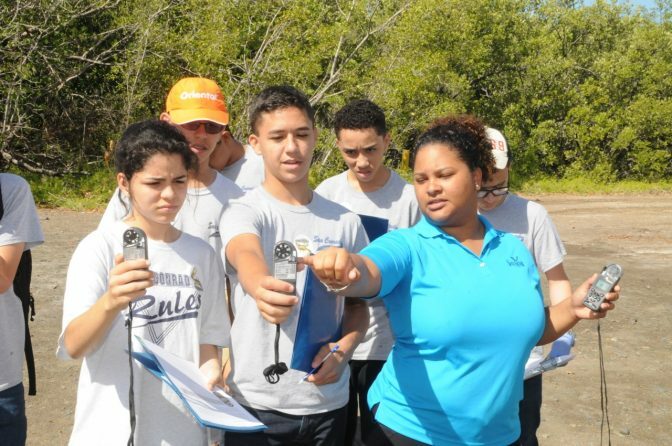 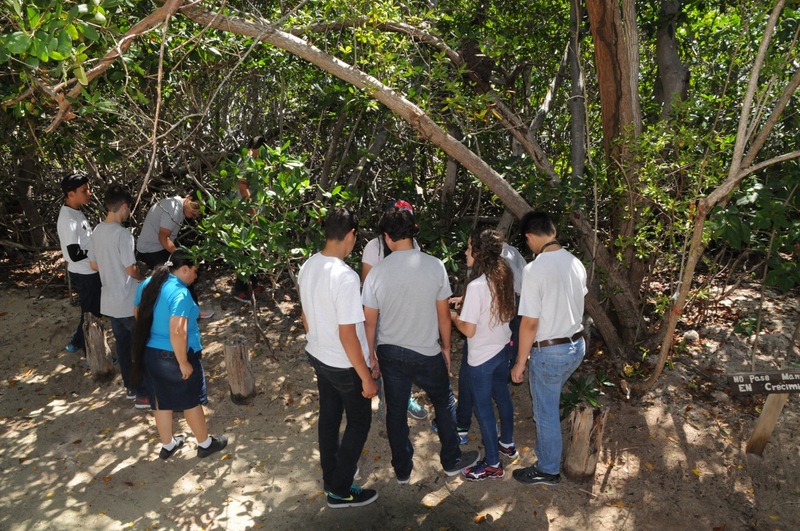 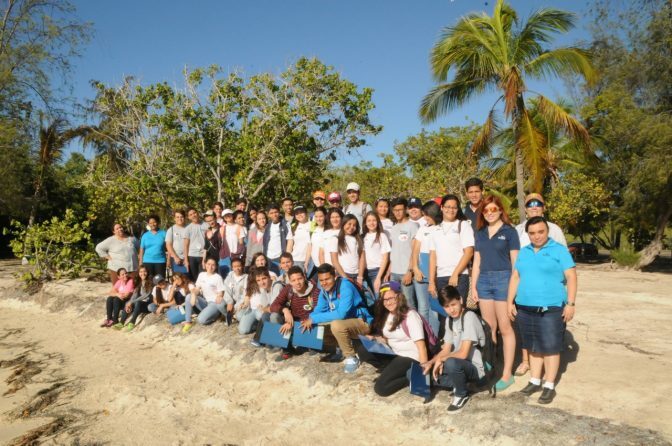 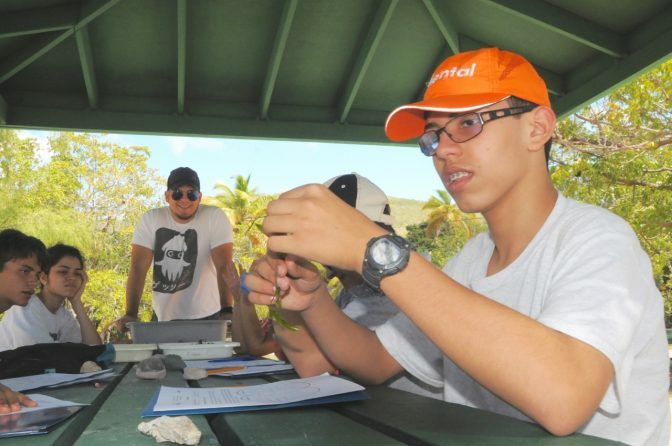 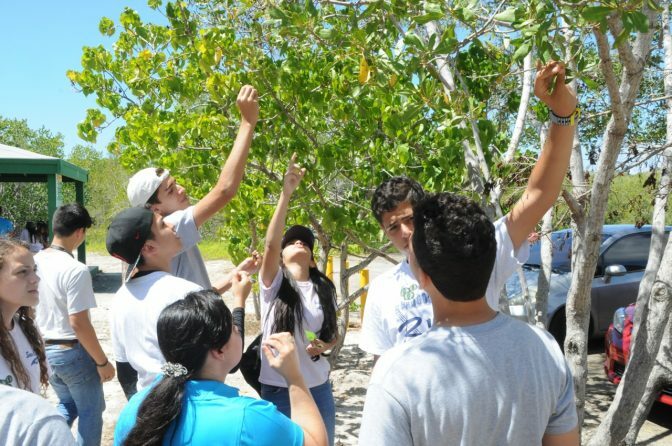 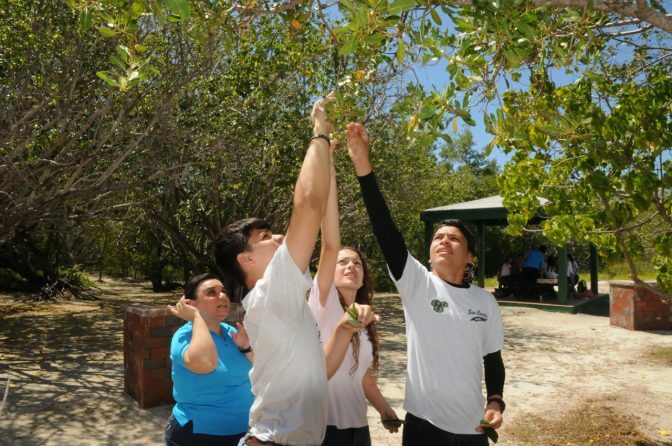 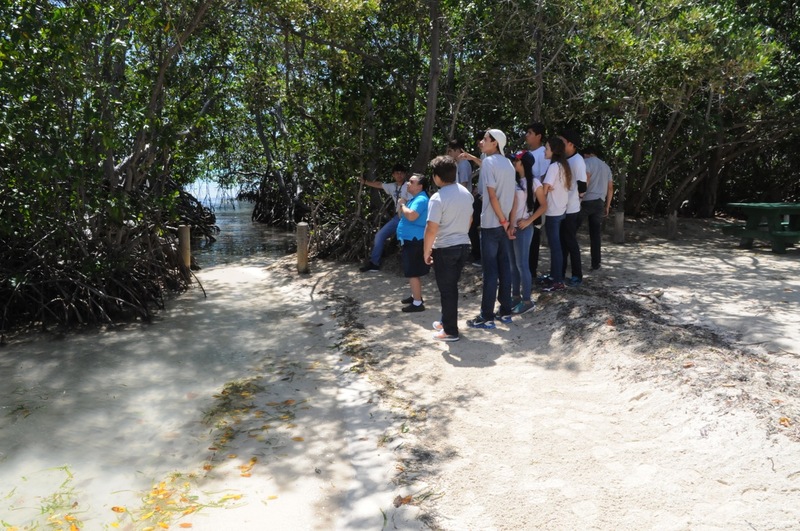 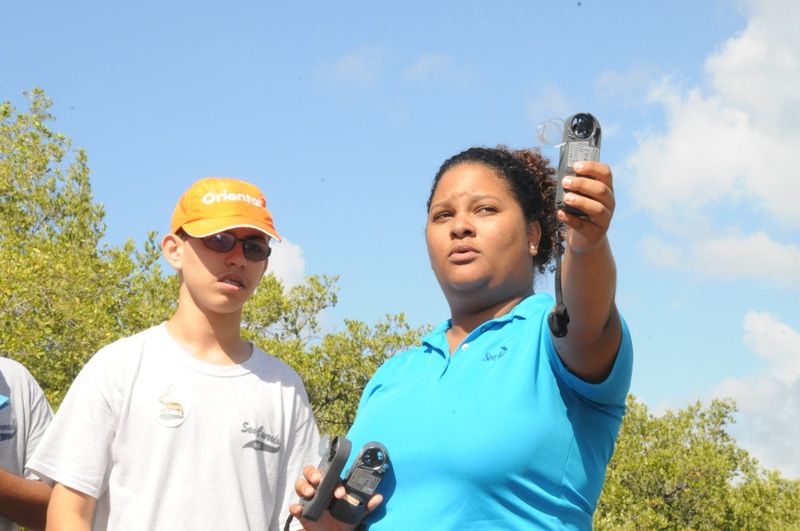 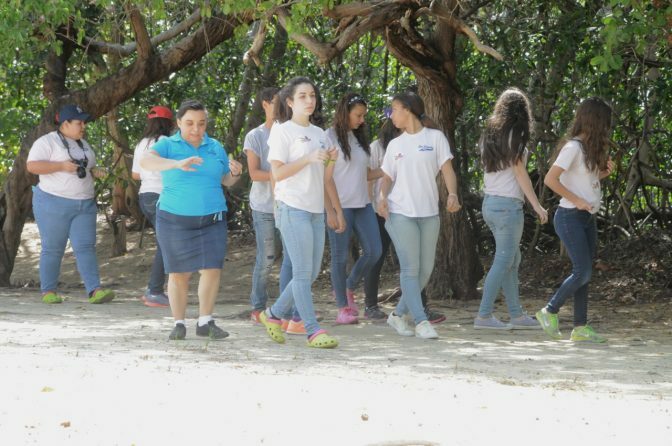 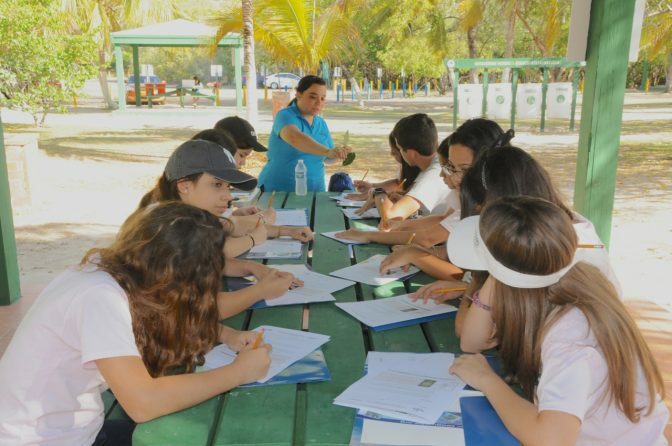 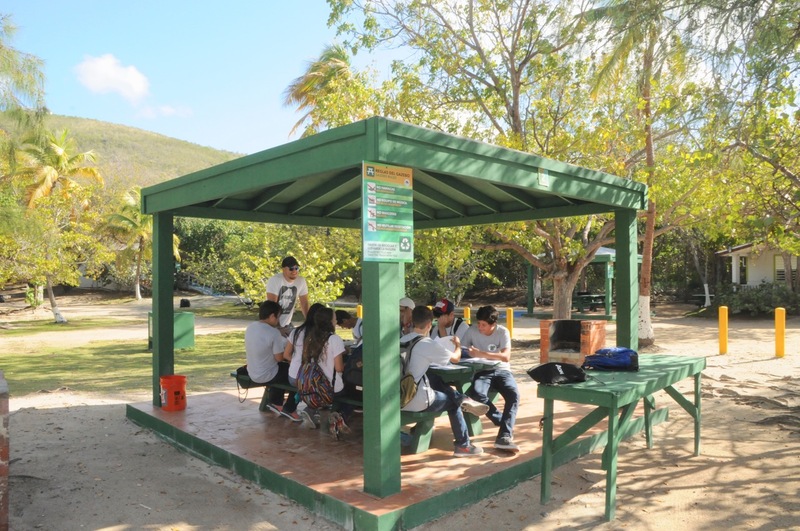 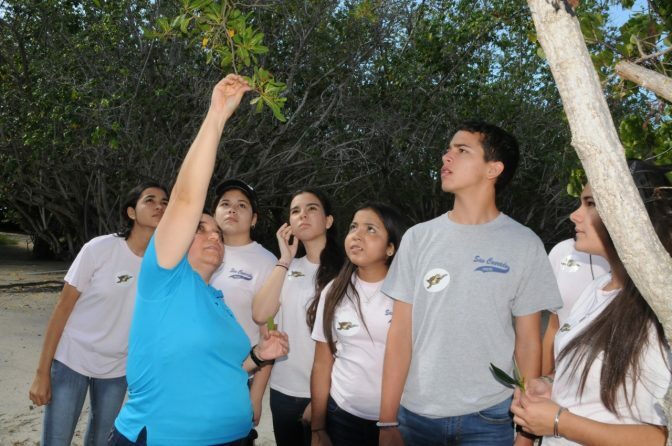 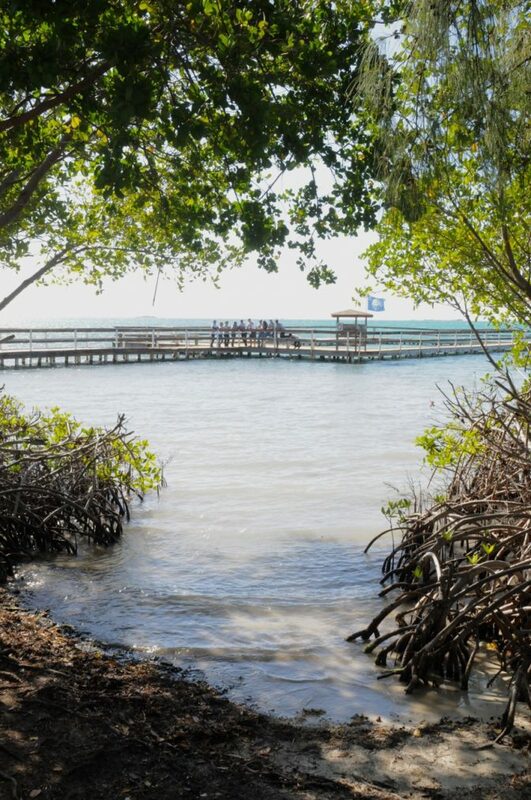 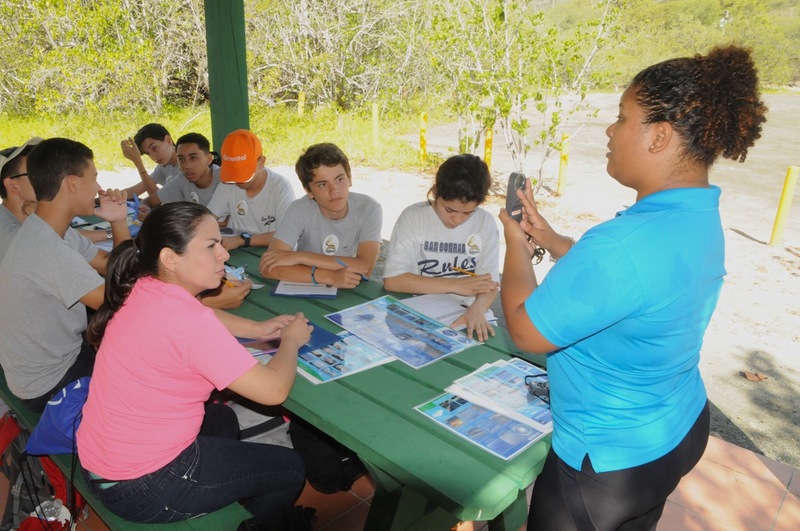 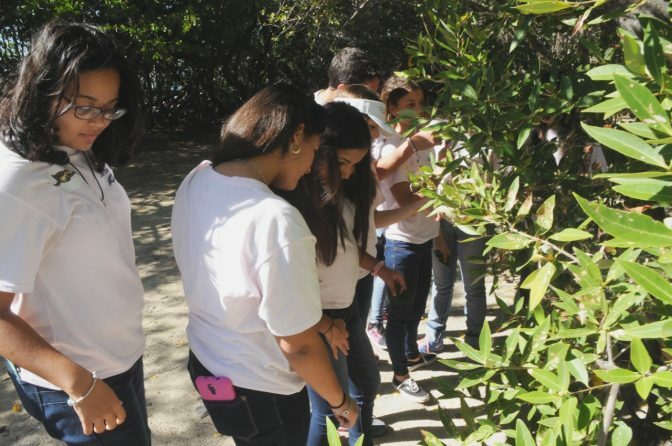 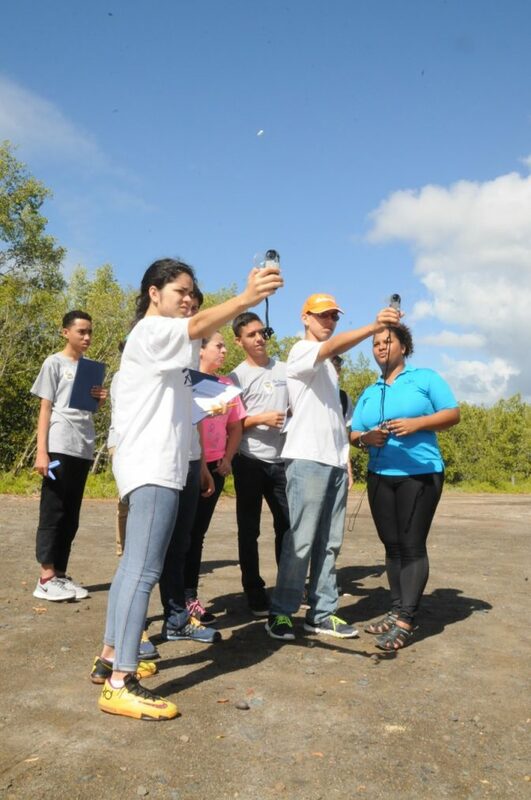 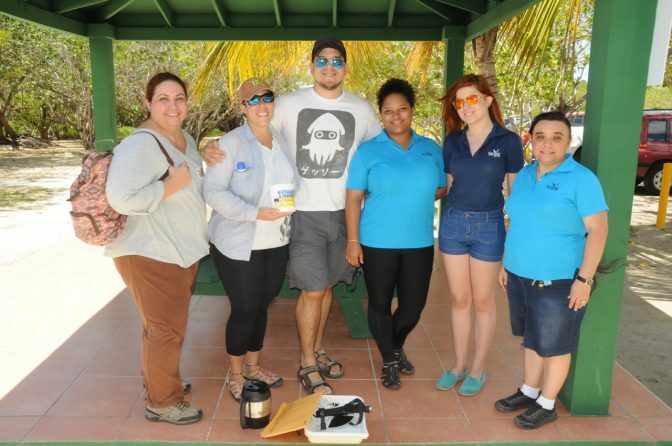 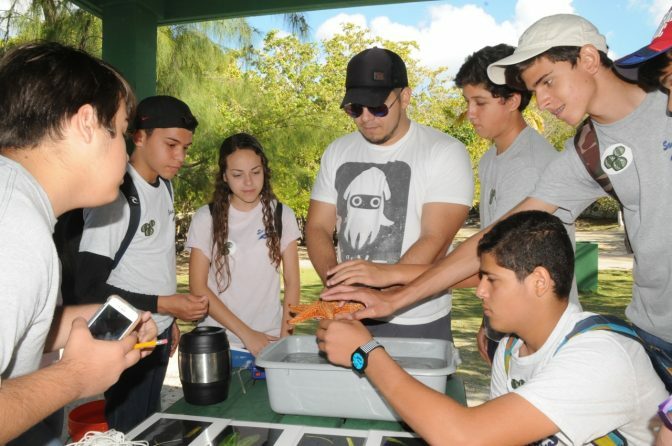 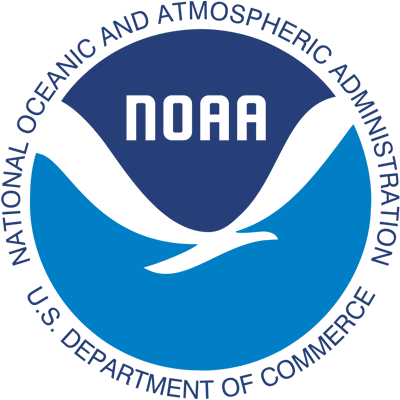 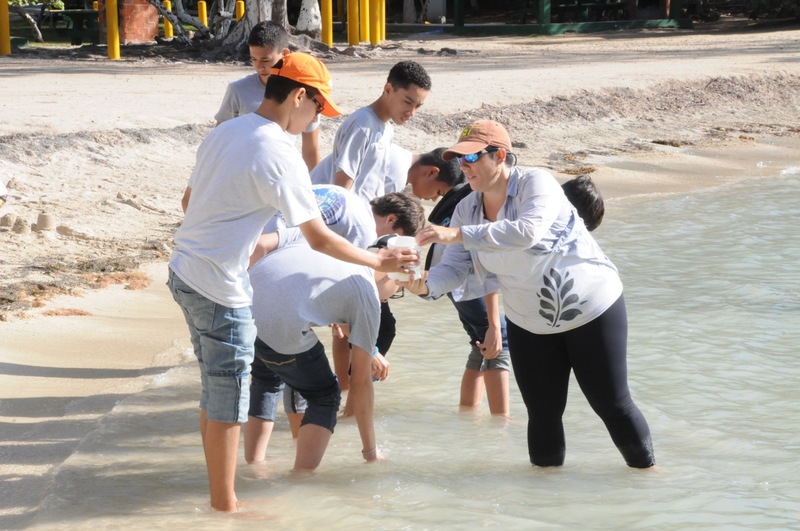 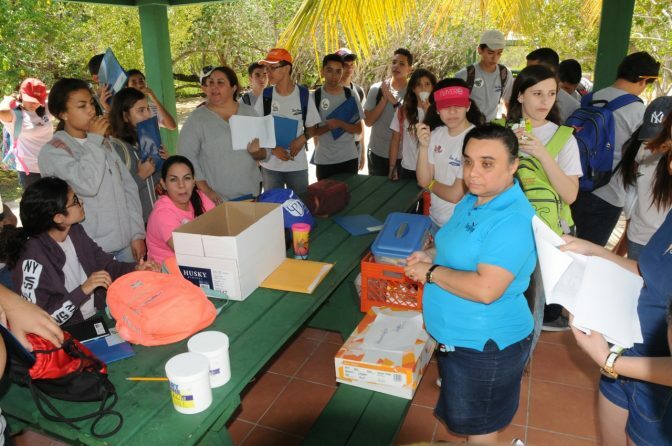 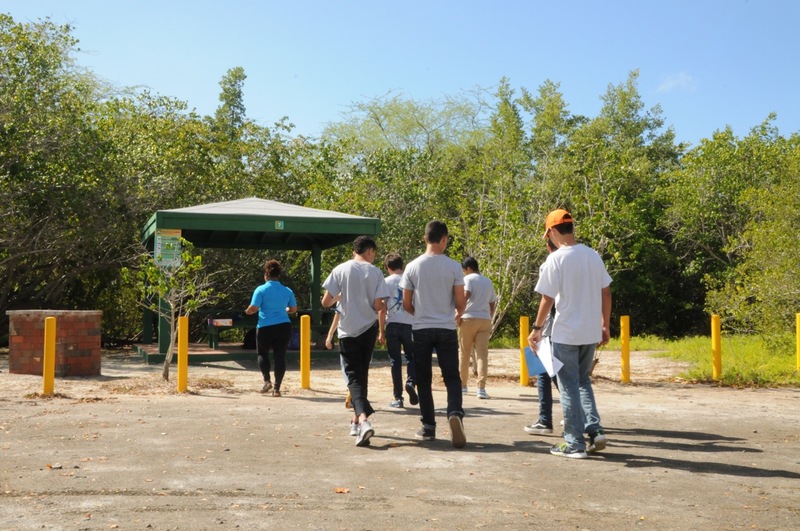 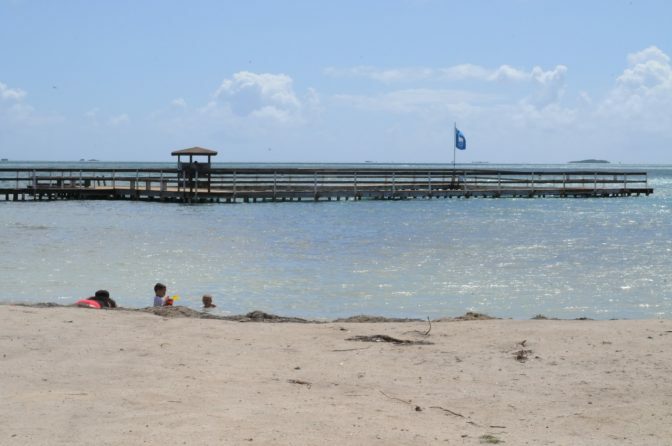 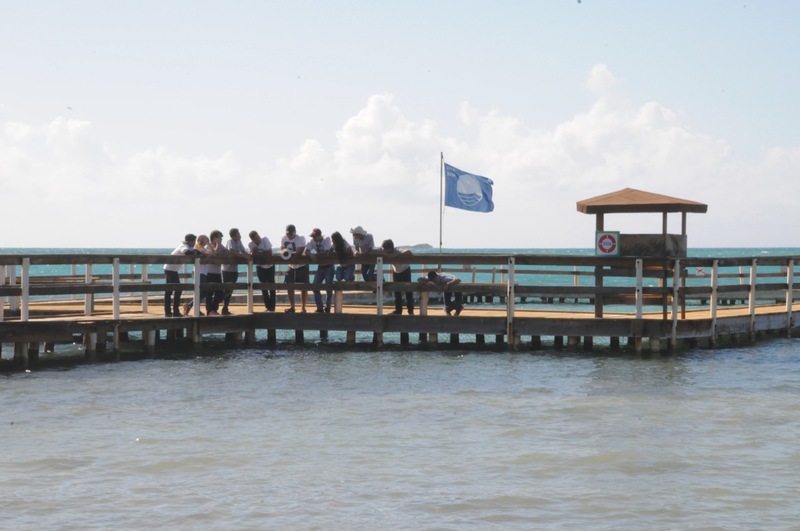 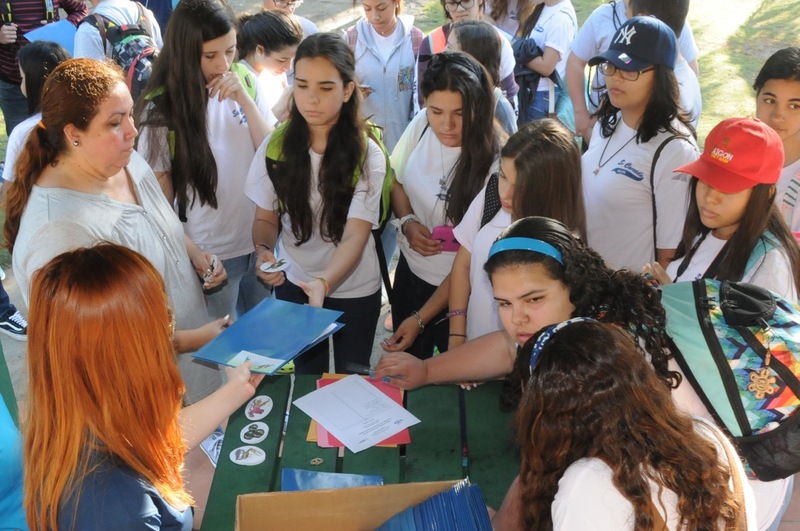 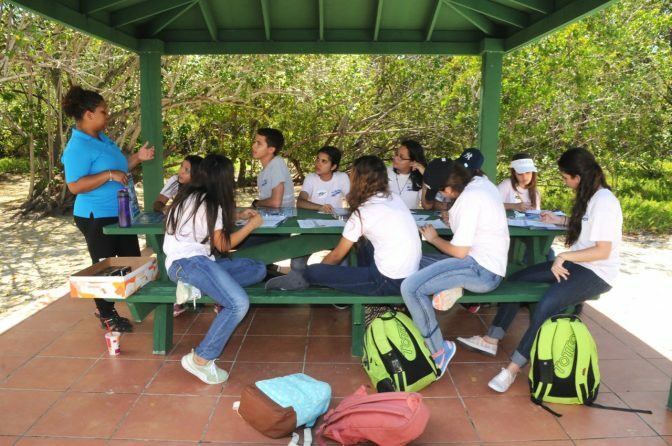 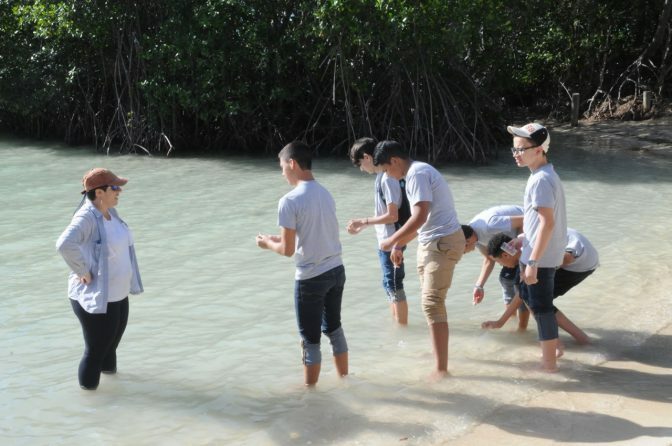 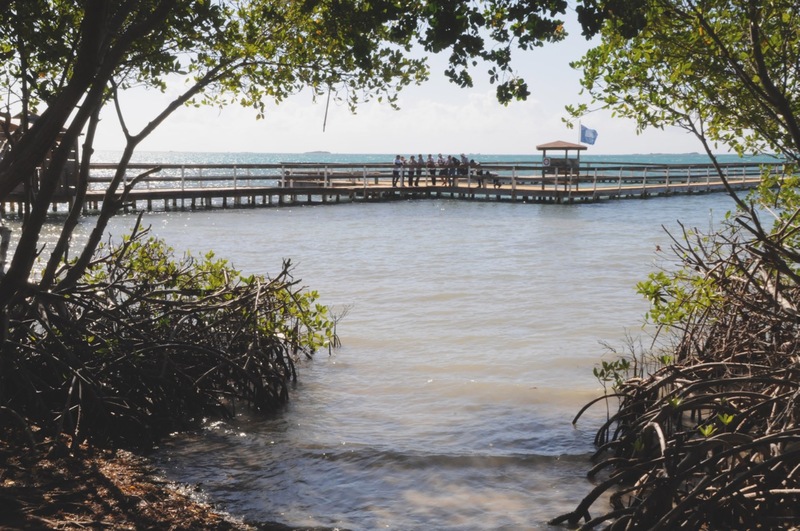 On February 26th, 2016, the students from the San Conrado College in Ponce traveled to Playita Rosada. 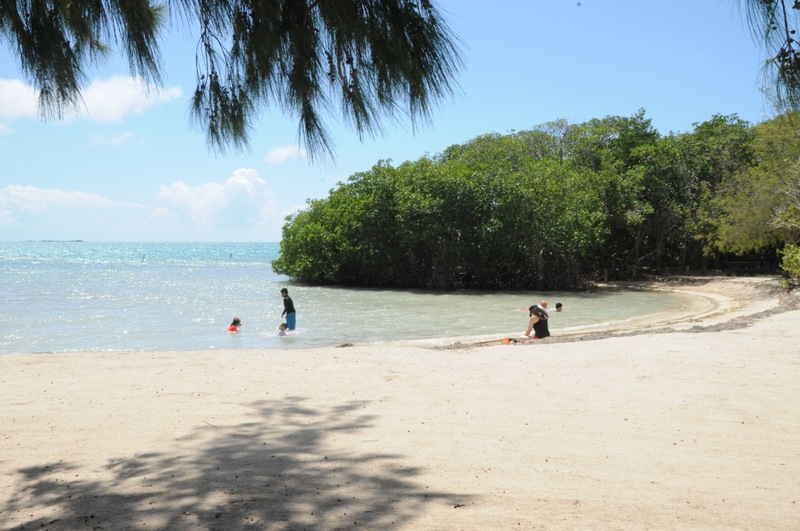 They, along with their teacher, Prof. Shirley Droz, made an early arrival to the beach, anxious to enjoy this natural paradise. 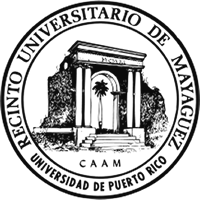 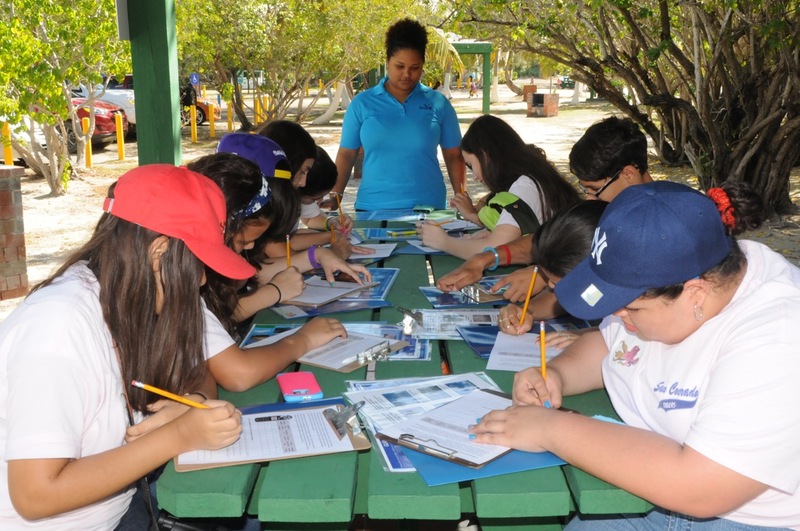 There, they participated in activities related to mangrove forests., seagrass beds, meteorology, water quality and marine invertebrates. 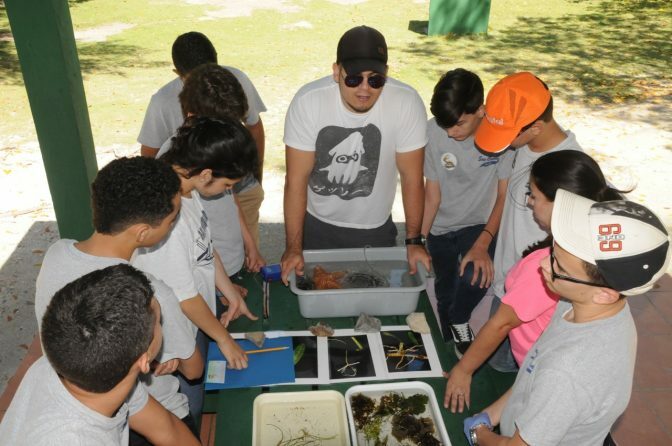 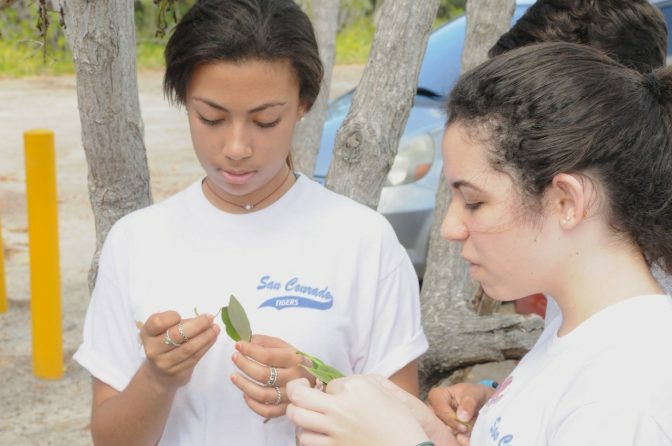 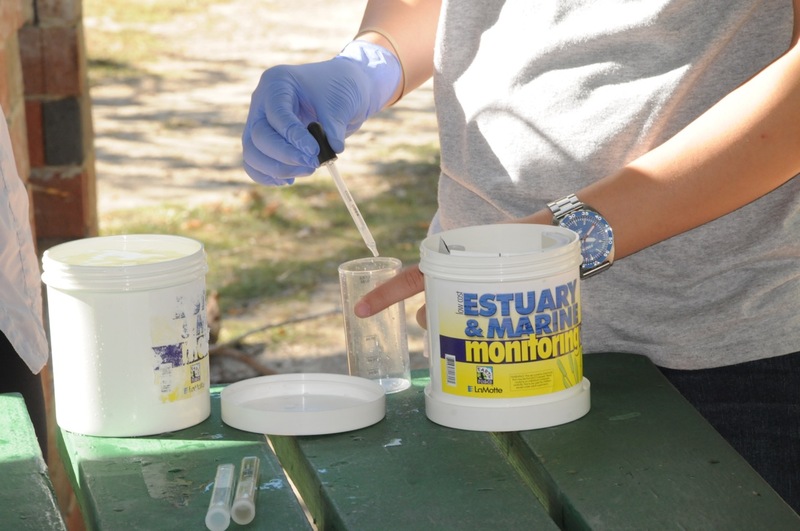 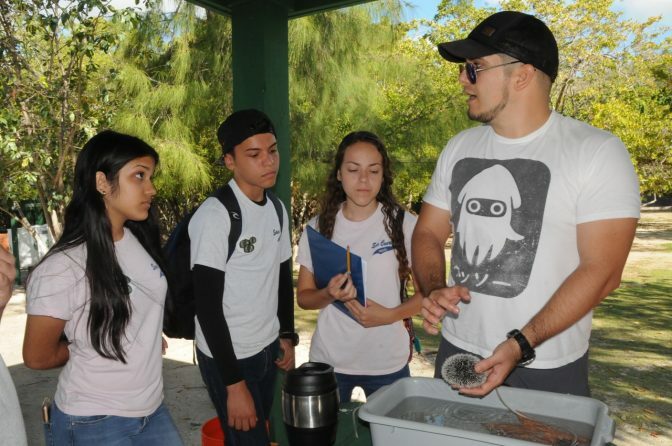 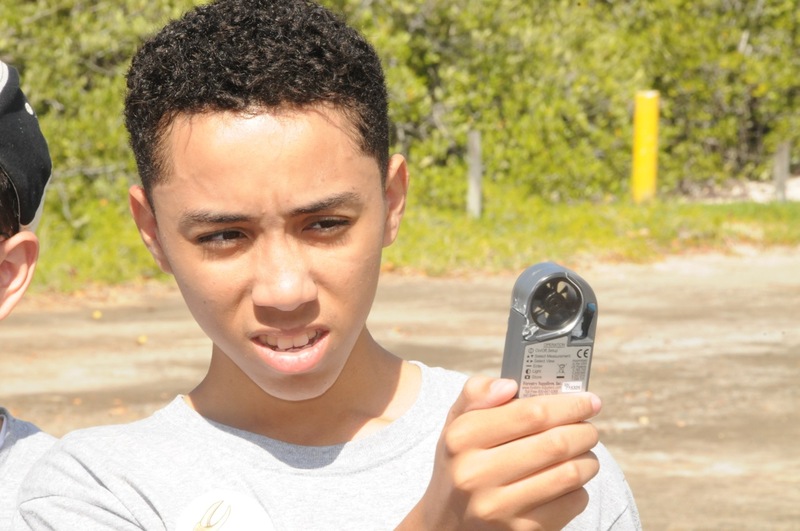 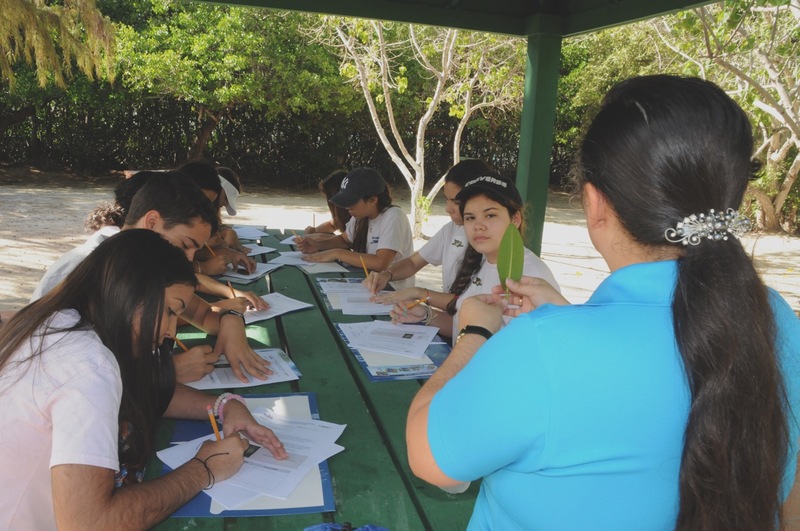 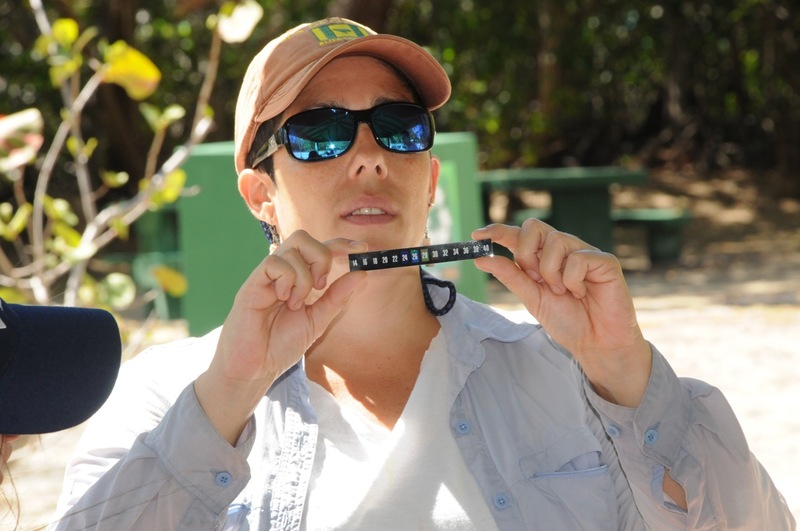 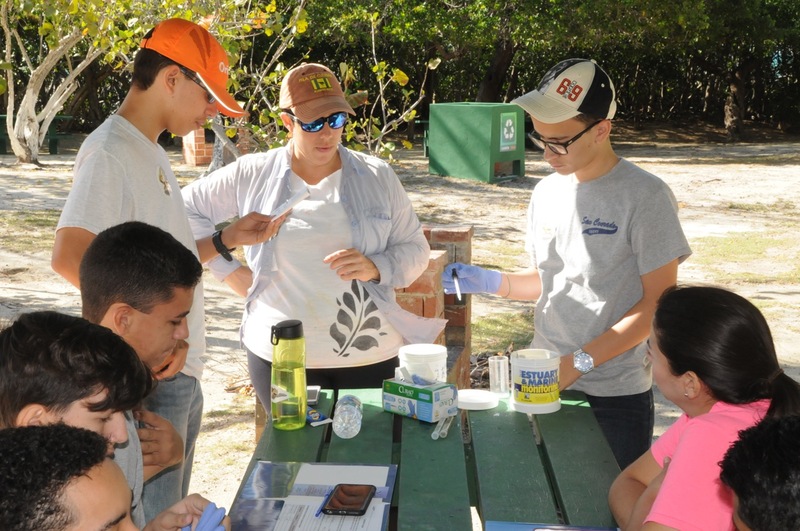 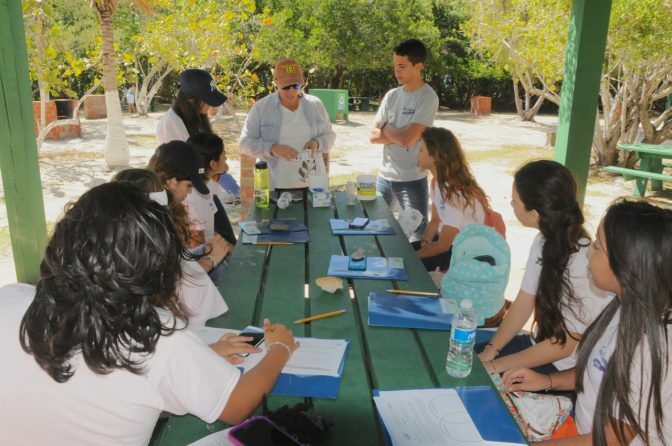 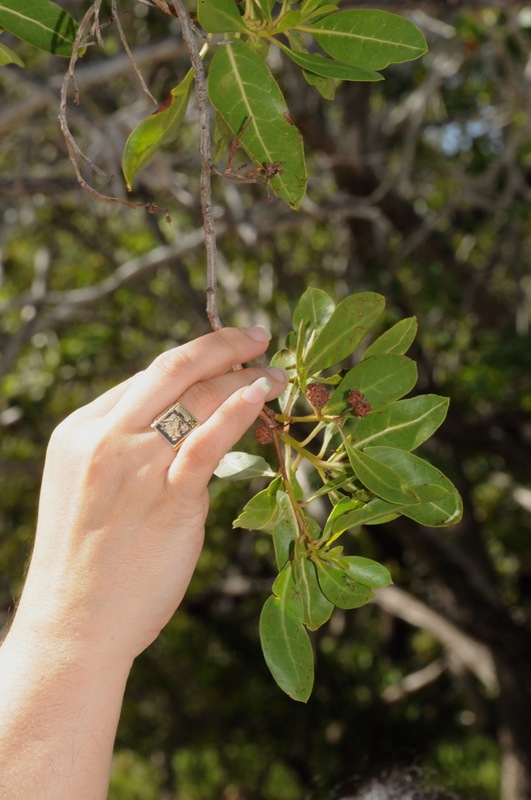 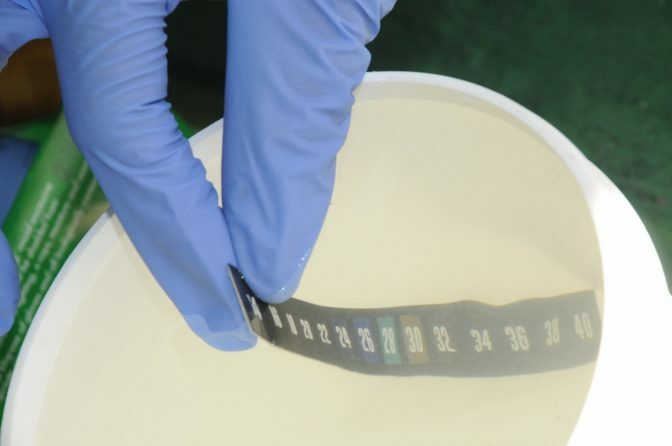 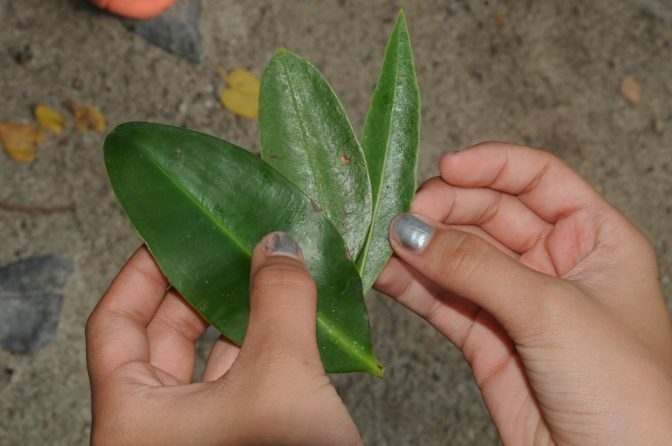 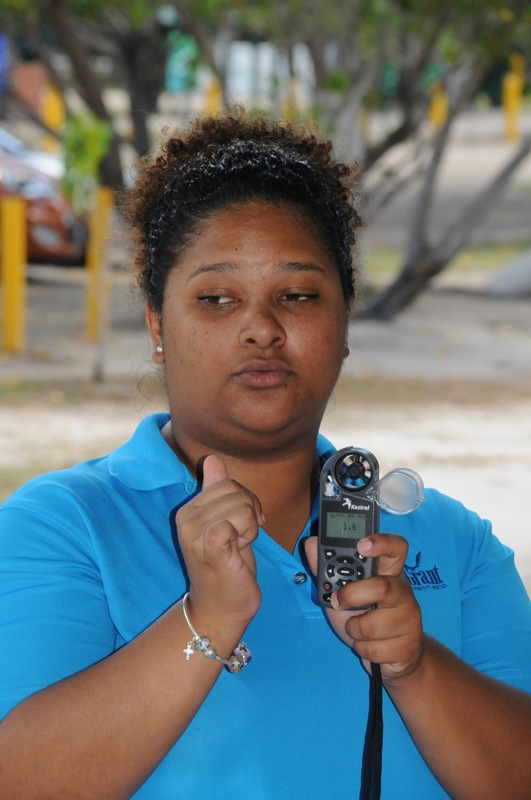 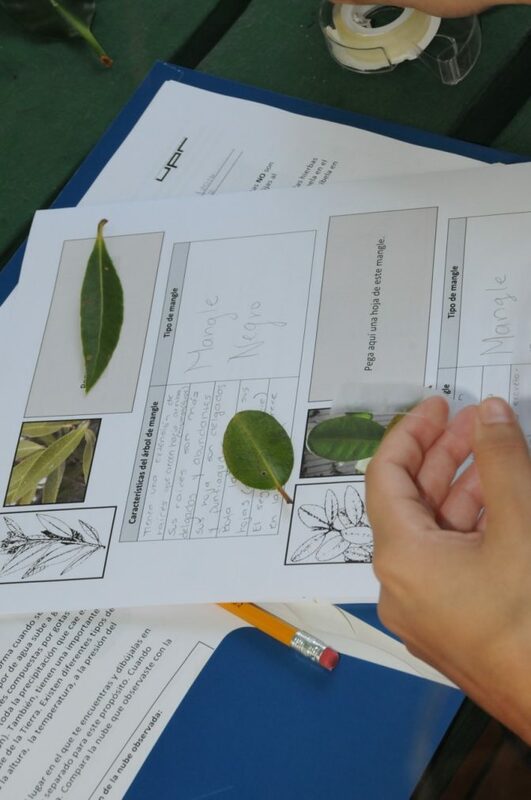 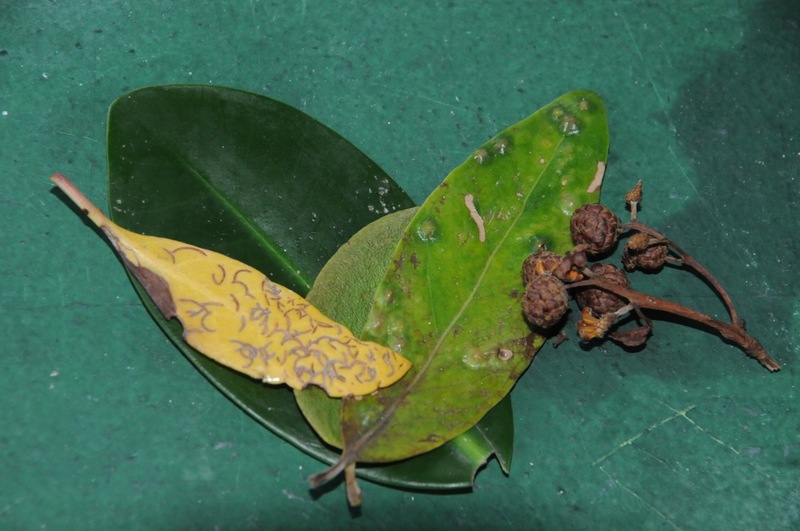 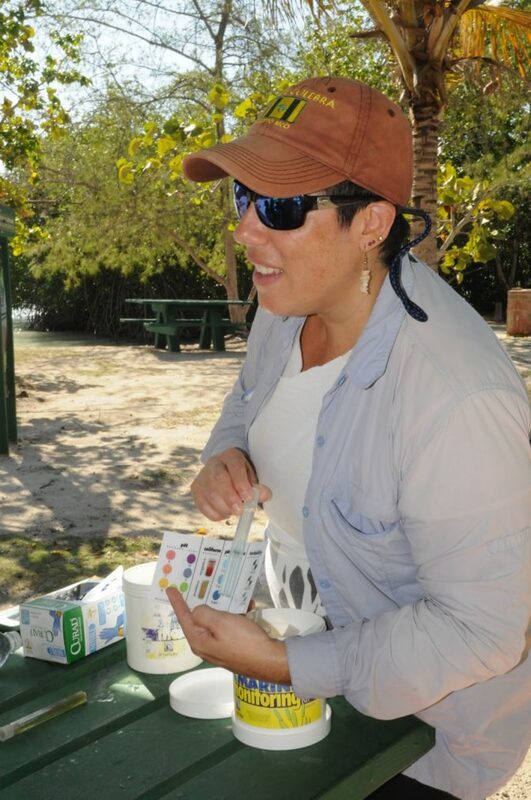 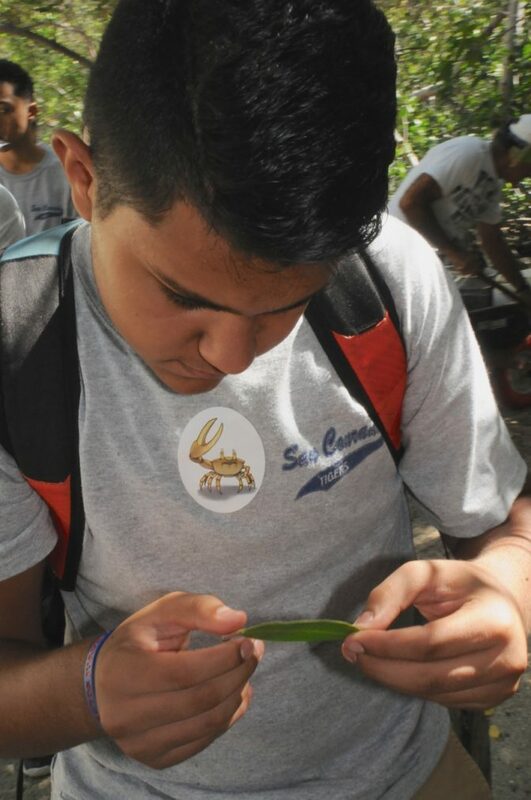 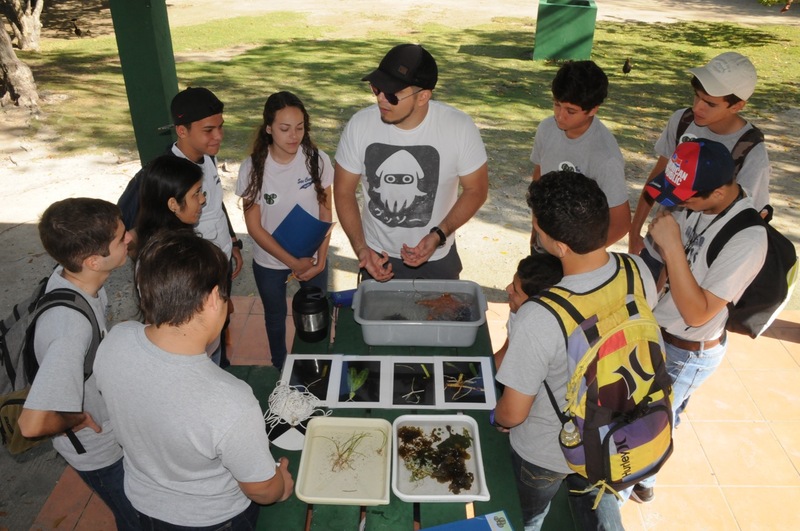 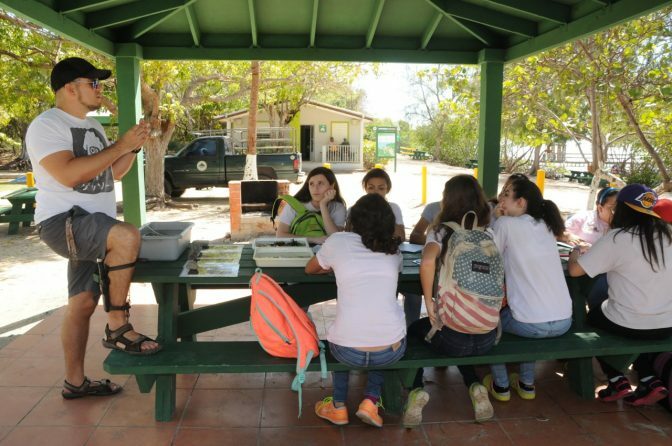 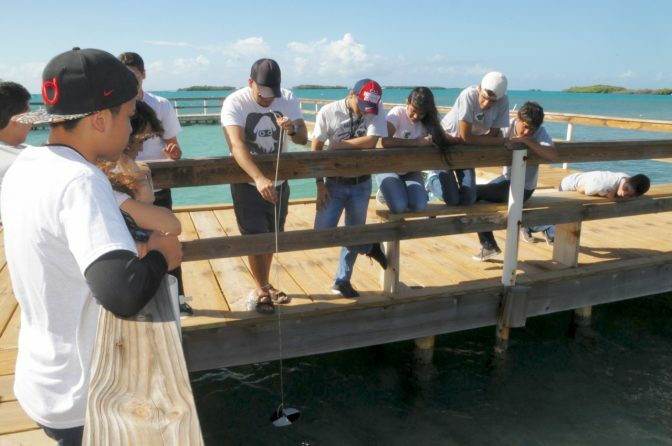 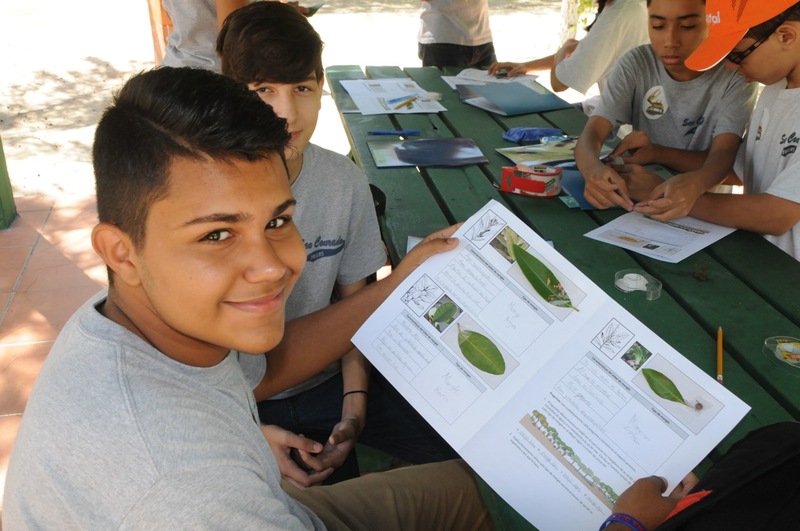 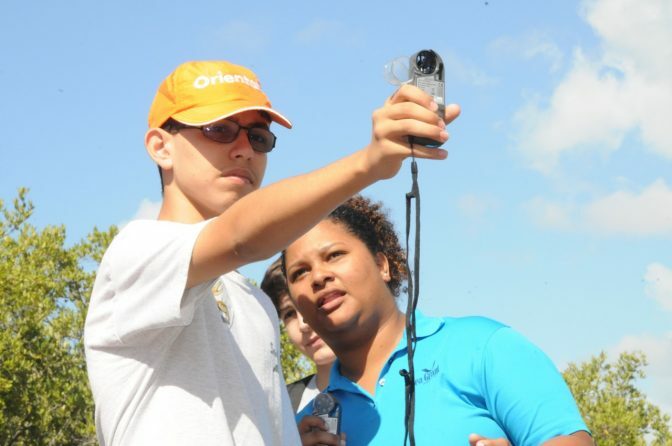 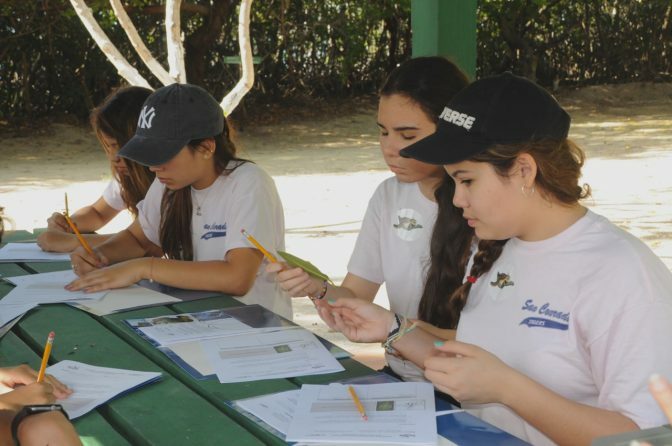 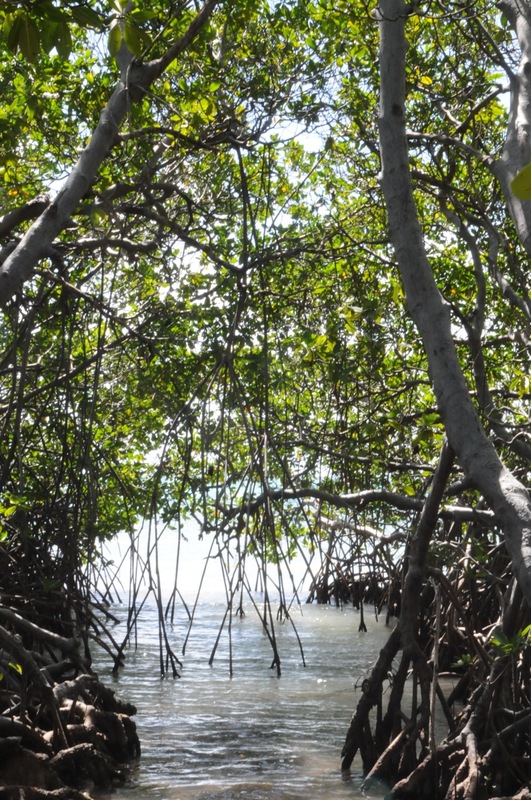 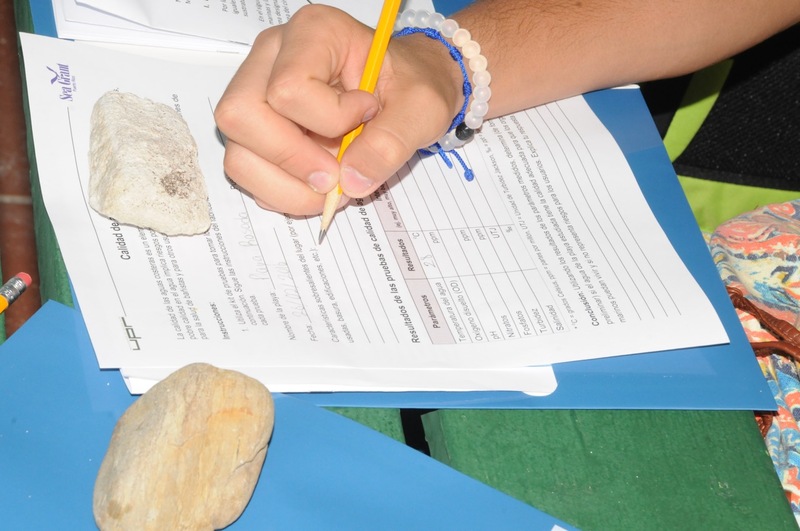 Students completed a sample sheet cataloguing the different mangrove tree leaves, measured water turbidity, analyzed weather conditions, and examined marine invertebrates. 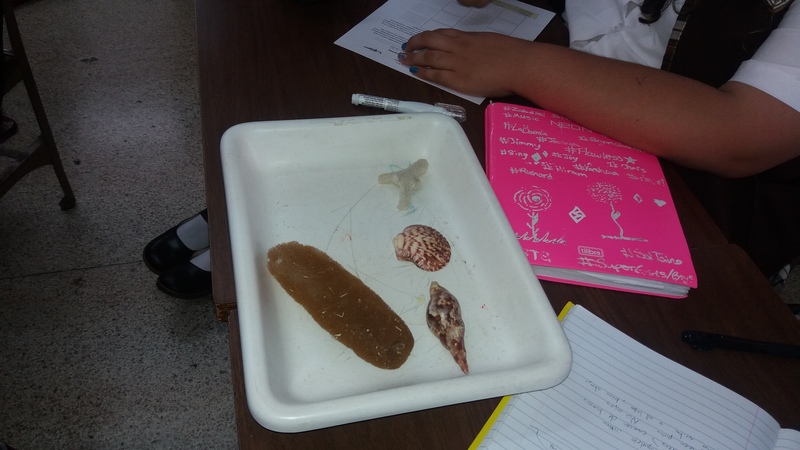 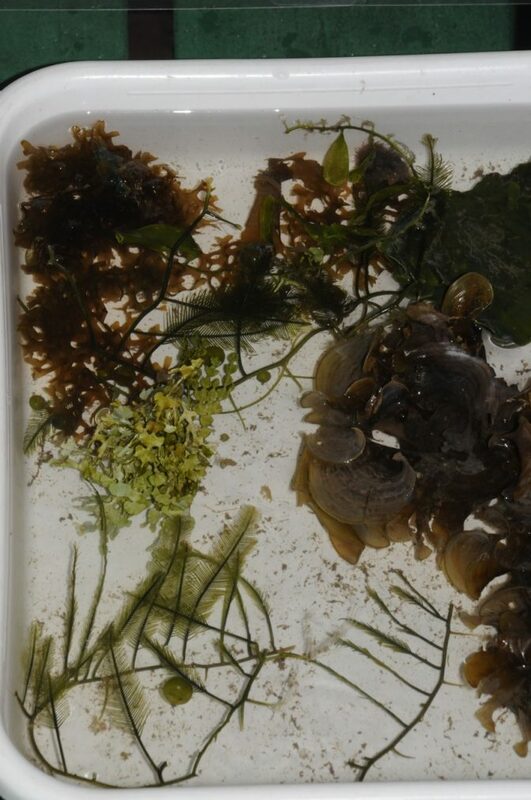 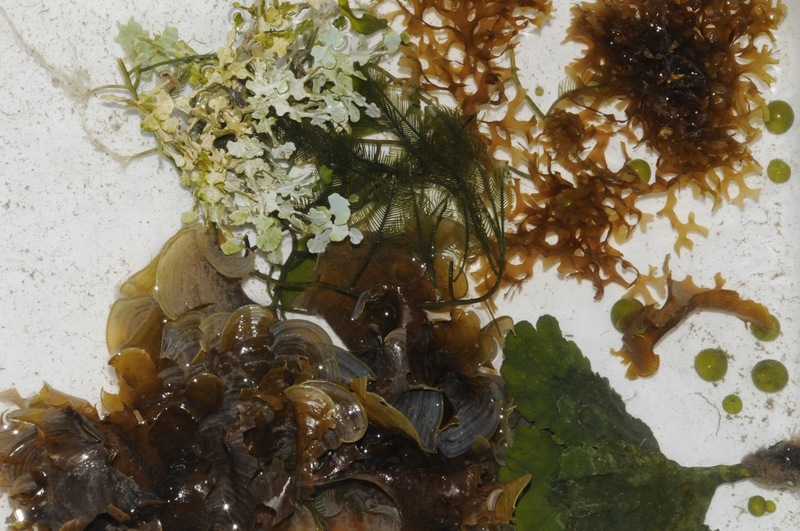 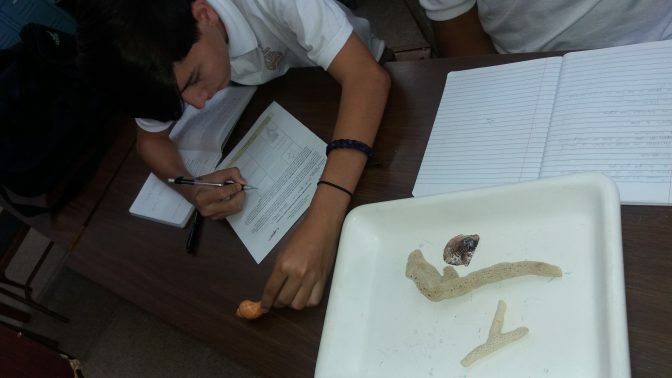 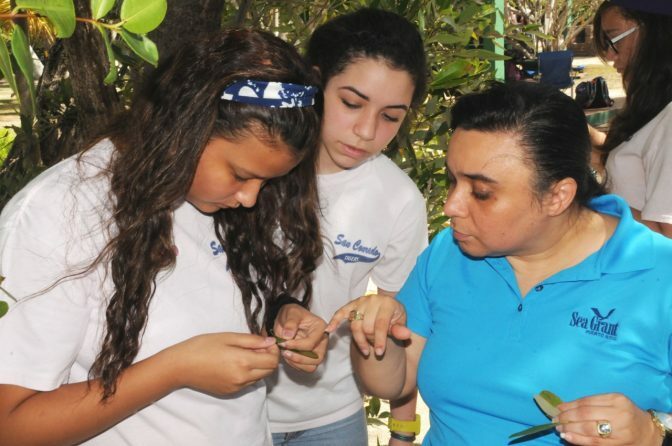 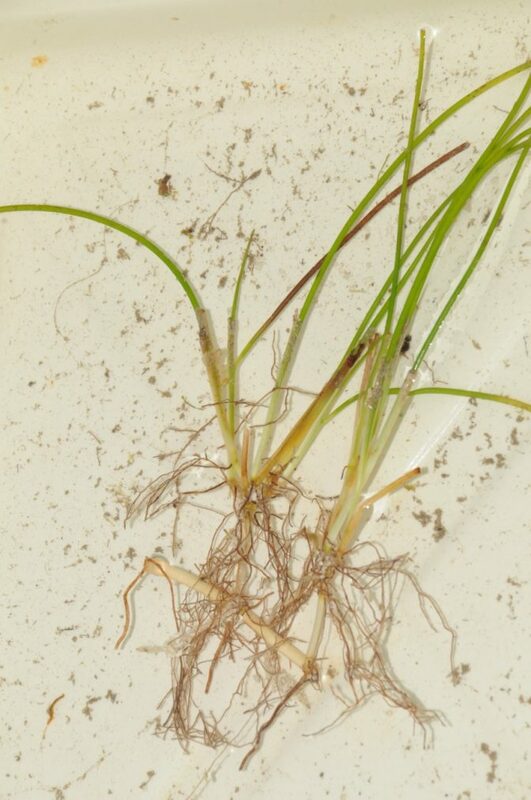 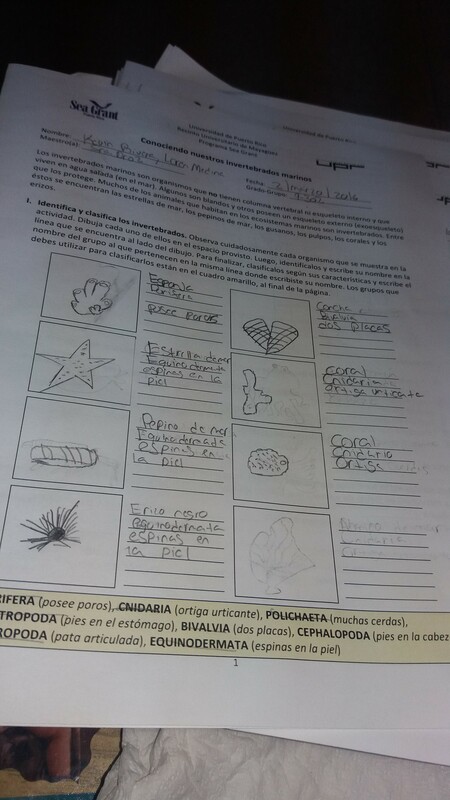 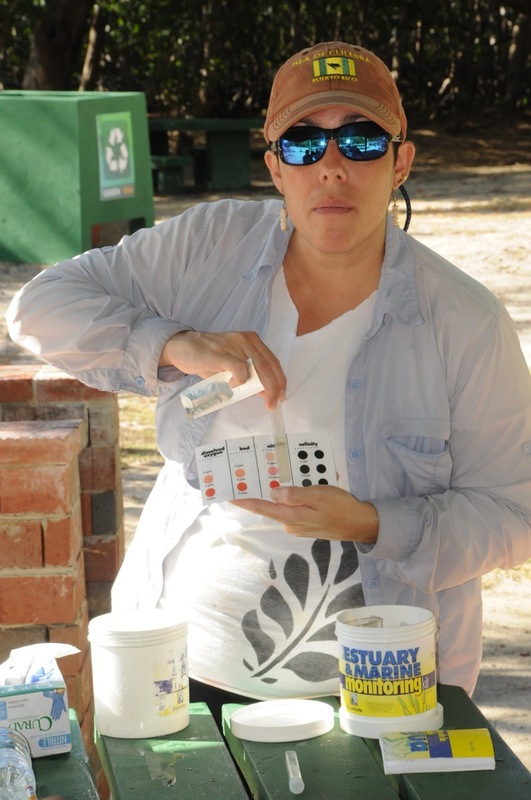 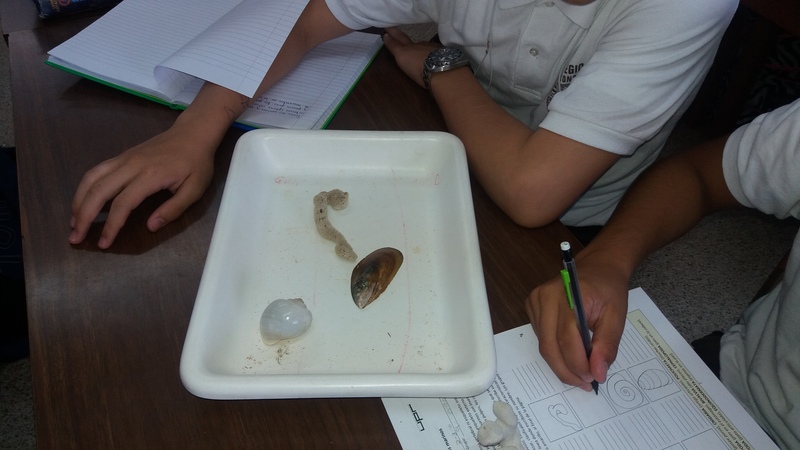 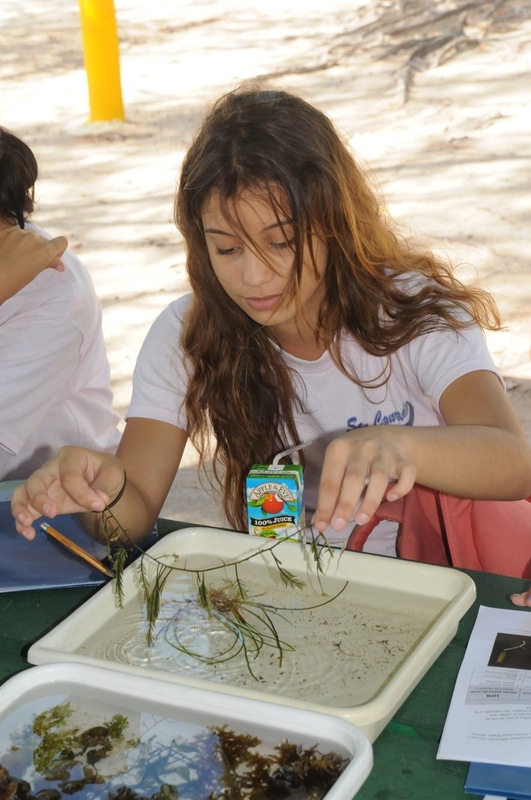 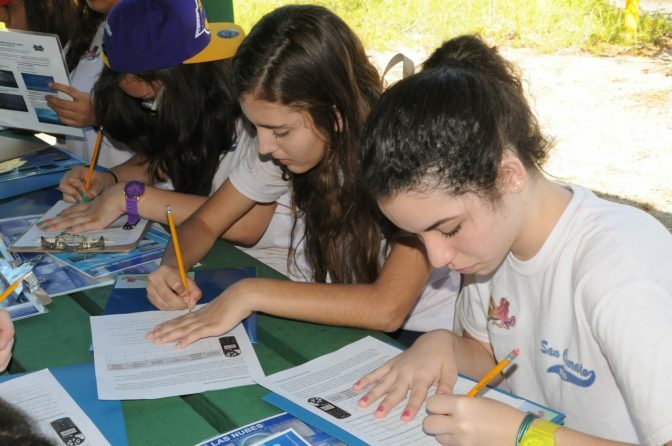 This last activity was performed in their classroom with their teacher, who collected many of these organisms (different from the ones observed at the beach) so that the students could finish their fact sheet. 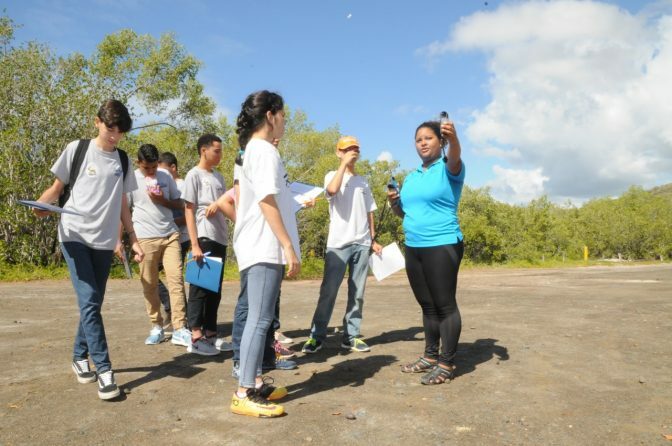 It was a very enriching experience.